Some great news dropped today afternoon. Konami announced that they will be extending their partnership with UEFA for another 3 years. Brilliant as it not only allows us to play this prestige competition in PES for the near future, but it also means we’ll see PES ad-boards continued to be advertised throughout the competitions for the next 3 years. KONAMI and UEFA has enjoyed a close relationship since the original agreement was signed in 2009 and the new partnership will allow KONAMI to use all iconography and presentation elements associated with the competitions exclusively within the PES series. The UEFA Champions League is Europe’s greatest club football competition and will be fully featured in all versions of the game for the next three years. All versions of the game will also feature official logos for the competitions across its packaging. 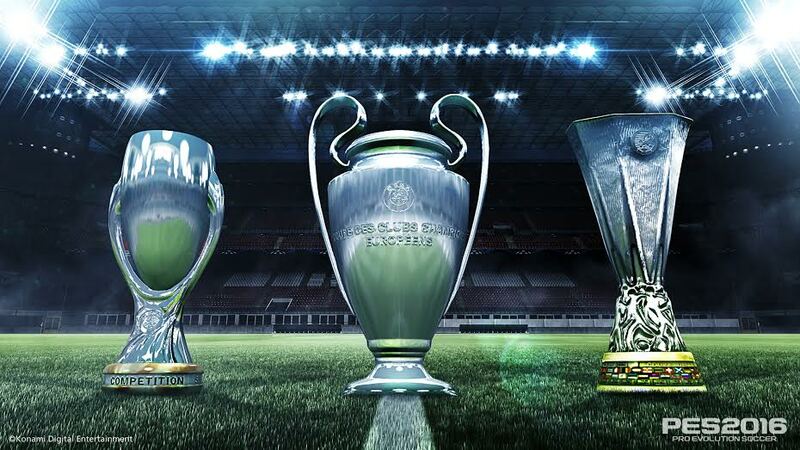 The agreement allows KONAMI to feature both the UEFA Champions League and UEFA Europa League club competitions within its many options, with both featured as individual modes or within the larger season overview upon qualification – with the UEFA Super Cup featured within the iconic Master League mode. The PES series is widely regarded as the most realistic football simulation available, with its most recent PES 2015 iteration winning awards such as IGN’s ‘Sports Game of the Year 2014’ and ‘Best Sports Game 2014’ at Europe’s prestige gamescom exhibition.